A few housekeeping matters before we begin. This is my last blog for 2011, so I would like to wish my readers a Merry Christmas and/or Happy Holidays and a Happy New Year. Last week I had a bit of a moral dilemma in relation to the Bloggers for Charity contest when I received a bid of over $1,000 from Sarah a grade 11 student and Founder of the Me to We club at Oakridge Secondary School in London. Sarah bid on behalf of the club, to be a Blogger for a Day, to blog about the schools charity of choice. The club has raised $1,076 to date to go towards building a school in Kenya through Free the Children. Although I appreciated the bid, I felt it was not in the spirit of the contest; that being the donation should be a donation that was only made because of the opportunity afforded by being a guest blogger and not a pre-ordained donation. I thus decided against accepting the bid. However, since the Bloggers for Charity contest mission was to raise awareness for charitable giving and I was so impressed by what the students at Oakridge have done, I decided post an excellent mini-blog by Sarah. 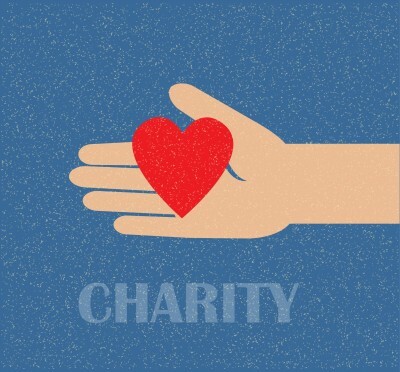 The blog politely admonishes us adults and discusses the clubs charitable efforts. Sarah's blog post follows below. Thus, after all that, Tim Penner hangs on with a bid of $250 and will be my Guest Blogger on January 17, 2012. I have decided to match Tim's winning bid and will donate $250 to the Make-A-Wish Foundation of Canada. Finally, I have recently experimented with some technical income tax posts, however, I will return to less technical posts in 2012. That is not to say I will not have any income tax blog posts, but the discussion will just be little less technical in nature. 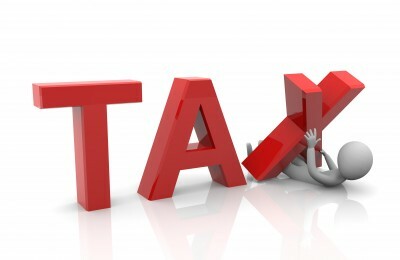 I have some great tax and non-tax topics on my agenda for 2012. The 2011 Federal budget proposed rules to eliminate the income tax deferral for corporate partners. Many partnerships were unaware they had a time constraint to make an "alignment election" so that the partnership would have the same year-end as the corporate partners. Last Friday, the Minister of Finance Jim Flaherty announced the government will consider late alignment elections as filed on time if filed on or before January 31, 2012. As noted in a prior blog the Globe and Mail was reporting the IRS was considering waiving filing penalties for US Citizens who live in Canada and had not filed the required U.S. income tax returns. Last week the IRS posted this Information for U.S. Citizens or Dual Citizens Residing Outside the United States. Assuming there will not be further specific special relief for Canadians; penalties will only be waived where the IRS feels there was "reasonable cause" for the initial non-filing. Reasonable cause is discussed in the link above and appears very subjective. If you are a U.S. citizen or dual resident living in Canada and have not filed prior U.S. income tax returns, I urge you to engage a U.S. tax specialist to advise you moving forward. If you filed previously and were subject to penalties, you will want to touch base with your tax preparer to see if the reasonable cause provision can be used retroactively to obtain a refund of penalties already paid. The Blunt Bean Counter initiated bloggers for charity as a means of promoting charitable giving. Although my school club’s fundraiser did not fit the qualifications for the bid, Mr. Goodfield has generously offered space for this guest posting. Today’s youth are often criticized for being apathetic and disengaged, but I am writing today to demonstrate that this stereotype is not true. This year, a group of students at Oakridge Secondary School founded a Me to We club. We were inspired by the Me to We organization, an international movement of socially aware and involved youth. As a club we didn’t just want to meet at lunch, we wanted to make a real difference! We set achievable goals for both local and global initiatives. Our first event was Halloween for Hunger. Most adults roll their eyes when they see teenagers on their doorstep on Halloween, but we weren’t asking for candy for ourselves; we were collecting food. Our club collected 2741 pounds of generously donated food for the local food bank! As students we are particularly motivated by the plight of less fortunate children around the world. Recently we participated in the Vow of Silence. We had two goals, the first being to raise awareness of children who are silenced by poverty, exploitation, and the denial of their basic rights. Our second goal was to kick off our year long campaign to raise money to build a school in Kenya, to help give youth an opportunity to receive an education and create a better future for themselves and the world. Our Me to We club was formed out of our passion to be the change and make a positive difference in the world. Remember this success next time you are approached by your son, daughter, or neighbour, and be generous with your support. We are not just the leaders of tomorrow; we are the leaders of today! Many people often ask should they own their investments in a corporation to avoid and/or defer income taxes. Although there may be reasons to utilize a corporation for liability purposes or to save on U.S. estate taxes if you own U.S. securities, there are currently no income tax savings or benefits to utilizing a corporation to earn investment income. The overriding principle of taxation in Canada is that an individual should be indifferent between earning investment income through a corporation and earning that same income personally. This concept is known as integration. To achieve integration on investment income, Canada imposes a refundable tax on Canadian controlled private corporations that earn investment income. If investment income earned in a corporation was subject to an income tax rate that was lower than the highest marginal personal income tax rate, it would be possible to have an indefinite deferral of income tax so long as the after-corporate tax funds were left in the corporation. In order to ensure taxpayers do not defer income tax on investment income by using a corporation, the Income Tax Act imposes an income tax rate that is essentially the same as the highest marginal personal income tax rate. Thus, an investment corporation in Ontario would currently pay 46.41% on all its investment income earned, which by coincidence is the exact same rate as the highest personal marginal income tax rate in Ontario. In order to ensure that double tax is not incurred, when corporate funds are distributed out to an individual by a dividend, the high rate of corporate income tax is partially refunded. This refundable tax prevents the corporation from having more after-tax dollars available to reinvest than the individual would have had if he or she had earned the money personally. This may be more than you want to know, but the way the refundable tax system works is as such: the 46.41% corporate income tax rate is split into two components, the income tax component which is 19.74% and the refundable tax component which is 26.67%. The refundable component goes into a notional account called the Refundable Tax On Hand (“RDTOH”) account. Where a corporation has paid refundable tax, it will receive a refund of this tax when it pays a dividend to its shareholder(s) who will then pay the personal tax on the dividends. The corporation receives a $1 refund for every $3 in dividends it pays to a shareholder. It is probably best to think of the refundable taxes as a prepayment of the eventual personal taxes to be paid on the investment income. Below is a model of how the investment income integration system works (this is theoretical not actual; see below for a discussion of the realities of integration in Ontario). As demonstrated by the examples, theoretically where investment income is earned through a corporation there should be no deferral of tax and no tax savings where the individual shareholder pays tax on the dividends at the highest marginal tax rate. In reality, integration is not perfect. For example, in Ontario there is a ½ point of absolute income tax benefit to use a corporation when earning interest income, a ¼ point of savings if earning capital gains and no tax savings when earning dividends; however, based on the professional fees and administration, one would almost never use a corporation for such a small benefit. The refundable income tax system is a somewhat nefarious concept; hopefully I have provided some insight into the concept above and not confused you further. However, the key take-away point is; there is no income tax benefit to incorporate your investment income. I have written about the importance of budgeting a couple times. The first time in my blog Where Did My Money Go, I suggested using software to track your monthly expenses. In another blog on budgeting Budgets and underestimated household expenses, I relented on the detailed tracking and suggested you only keep detailed records for one month supplemented by the tracking of other exceptionally large expenses. 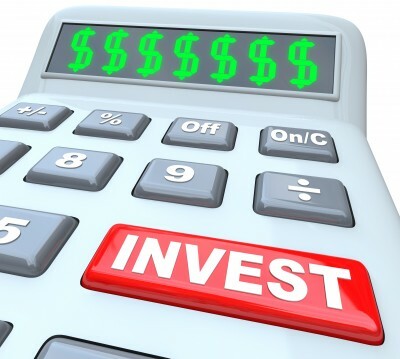 In my final discussion about budgeting, I relent on even the one month detailed tracking and suggest an alternative solution provided by Robert Chown, a financial advisor at one of Canada’s largest investment firms. 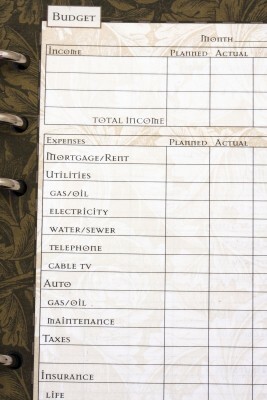 Robert, author of You Can’t Eat Your Furniture, offers a simplified solution to detailed budgeting. In chapter two of his book “Cash Flow Is Everything,” Robert suggests that you spend your money on only four things: (1) taxes & deductions (2) debt payments (3) savings & (4) living expenses. 1. Take the total of you and your spouse’s yearly employment salaries, and add any known investment income to get your sources of cash. 2. Total all the taxes you pay on your employment income (just use the tax paid on your pay stub and multiply by the number of pay cheques you have each year). 3. Total all your debt payments for your mortgage, car payments, student loans, etc. most of which are known at least a year in advance. 4. Summarize your savings. This will include all the money you set aside to contribute to your RRSP, RESP, TFSA, the purchase of a new car, etc. 5. Subtract from your sources of cash the totals of the taxes, debt and savings and you then have your living expenses. This shows that Betty and Bob will be able to spend roughly $50,100 after tax on living expenses or if done as a year-end review, that they spent $50,100 in the prior year. Robert thinks this technique is more accurate than detailed tracking of expenses because people often miss expenditures that can add up to big money. This can lead them to significantly underestimate their living expenses and overstate their surplus cash flow. Just because someone didn’t record an expense doesn’t mean that it didn’t happen. That’s not a problem with this system because any dollar earned but not directed to the first three categories ends up in the fourth. It has nowhere else to go. The Household Cash Flow works well for people with no debt or those who are paying off their debts in an orderly fashion. If you are digging yourself a hole due to overspending on “living expenses,” then you probably need to address your spending in more detail. The Household Cash Flow Statement also provides some potential retirement income data. If you assume you will be debt free by retirement and no longer have a requirement to save for retirement, you can eliminate two of the four items you spend your money on (Debt payments and Savings). The only two things left are Taxes and Living Expenses. Your current living expenses are a starting point for the expenses (in today’s dollars) you will need to cover in retirement, plus or minus adjustments for any expenses that will appear or disappear in retirement. If you are not the type of person to track expenses, this is an alternative method to provide yourself with some spending details and a simplified base for retirement planning. A quick update on the Bloggers for Charity initiative. Tim Penner still has the highest bid at $250 to be a Blogger for a day on The Blunt Bean Counter site. The contest ends this week, so if you have something to say and would like to give to charity, this is your last chance. My firm deals almost exclusively with entrepreneurs and owner-managers of corporations. As such, we have reviewed numerous Individual Pension Plan (“IPP”) proposals for our clients over the last few years. In this blog post I am going to review the basic characteristics of an IPP and then discuss proposed changes to the rules pursuant the 2011 budget. 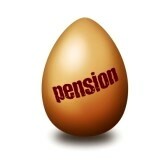 IPP’s are defined benefit pension plans established by an employer for an employee. Typically the IPP is set-up by our client’s corporations for their own benefit, their spouses benefit or for key employees. 1. The contribution to your IPP (think of it as a Registered Retirement Savings Plan “RRSP” with a different acronym) is made with corporate monies and the corporation receives a deduction for the IPP contribution against its corporate income. The key here is that you are using corporate monies and not after-tax monies to fund your IPP. For example, to fund a $22,000 RRSP contribution, a high rate taxpayer would need their corporation to pay them a salary of $40,000 to have the $22,000 to contribute to their RRSP, whereas a corporate contribution would only require $25,000 or so of corporate after-tax net income. 2. For an owner-manager in the sweet spot, say early to mid-fifties, that earns over a $100,000 a year in salary and has worked for the company since 1991, in many cases they are entitled to a past service contribution in the $100,000 to $150,000 range depending upon their prior employment history. This provides a tremendous opportunity for an owner-manager who has a small RRSP due to lack of funding or poor performance to immediately rebuild their retirement fund in one fell swoop. .
3. Upon establishing an IPP, you will cease to be able to contribute to your RRSP and a portion of your RRSP must be transferred to your IPP. Future pension contributions will be made to your IPP instead of your RRSP. Typically the contribution limits to the IPP are higher than to your RRSP. In addition, an IPP may provide for a catch-up contribution if the performance is weak. 4. IPP’s have restrictions on withdrawals, unlike RRSPs, which allow withdrawals at any time. 5. IPP’s can generally invest in the same investments as a RRSP; however, you cannot invest more than 10% of the book value of the IPP in any one security. 6. At age 71 your IPP must begin payment or be converted to a Life Income Fund instead of a Registered Retirement Income Fund. 1. The IPP current service contributions are significantly larger than the RRSP contribution limits. For example, a 55 year old has a 25% IPP contribution limit vs. the 18% RRSP limit providing for approximately a $32,000 IPP contribution limit, as opposed to a $22,000 RRSP contribution limit. 2. All assets under an IPP are creditor proofed. 3. The IPP contributions are not subject to payroll taxes. 4. IPP’s allow for a “top-up” if the return for the IPP falls below a certain threshold. 5. If the IPP is set up properly and circumstances permit (child in the business), the IPP may be transferred to the next generation keeping the assets tax-sheltered, as opposed to RRSPs which are taxable upon the death of the last spouse to die. 1. Cost of set-up and maintenance. Including the required triennial valuation, the yearly costs will average between $1,500 to $2,500. 2. Compliance with the Canada Revenue Agency. 3. If the IPP assets grow to be greater than 120% of the liabilities because of bullish markets contributions may be reduced or eliminated for the year. Under the budget tabled June 6, 2011, (originally the March 22, 2011 budget) the past service contributions were to be restricted, as essentially any past service contribution was to be satisfied by current RRSP assets first, meaning in many cases, minimal amounts could be contributed by the corporation. However, a new Ways and Means motion has muted the original rules, such that in most cases, corporate owners should still be able to make a significant past service contribution. Personally, where a clients RRSP has limited assets and they can catch-up in one fell swoop using corporate dollars, I feel an IPP has merit. Where a client has a large RRSP in place, I am less enthusiastic to use an IPP because of the complexity of the technical rules and the high ongoing administration costs.